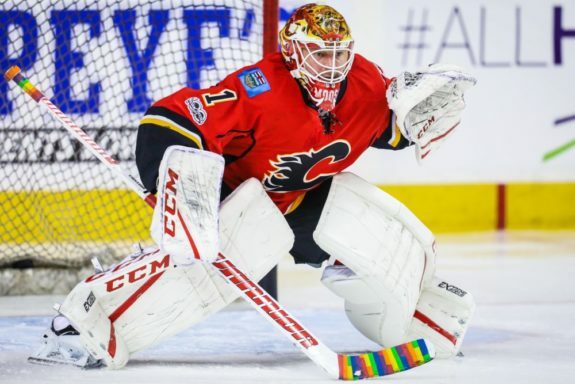 This offseason the Calgary Flames knew that they needed to find goaltending stability. It was their achilles heel last year and the reason behind their downfall. For the Flames to have playoff success, they need to be far better in that department. Heading into last season, the Flames had this exact problem. At the 2016 NHL Entry Draft, they thought they found their answer by acquiring Brian Elliott from the St. Louis Blues. Elliott was coming off a strong season where he had a respectable .930 save percentage. As the season began, it became clear that Elliott was the wrong goalie. Elliott struggled immensely and even lost his starting job to career backup goalie, Chad Johnson. Although he claimed his starting job back, Elliott never was the elite goalie that the Flames needed him to be. His playoff performance for the Flames was also abysmal enough to ensure that he would not return. This offseason, the Flames decided to trade for Mike Smith to replace Elliott. Smith is a proven veteran in the league who has had success. Yet, there have also been times where Smith has been inconsistent as a goalie as well. Hopefully Smith can reach expectations in Calgary because the Flames desperately need him to. Smith is not a bad NHL goalie, but there are some red flags when looking at his track record. At age 35, Smith does not have much time left in his prime. He is inevitably going to start declining. This could be an issue for the Flames because they want to build for long term success. The Flames have not had a permanent goalie since Miikka Kiprusoff and they need to fix this. Besides being on the older side, Smith has yet to be a game changing goaltender. In his NHL career, Smith has only played in the playoffs two times and has not been since the 2011-12 season. Although he did have success that year, it is apparent that he is not a goalie who can carry a team. 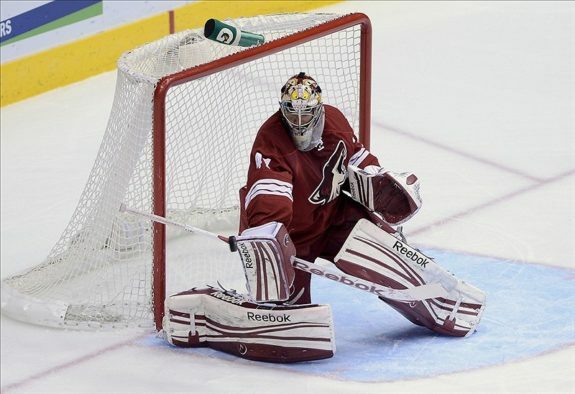 The Arizona Coyotes would have made the playoffs more often if he was an elite goalie. The biggest concern with Smith is that there is a chance he could end up being another Elliott. There are a lot of uncertainties with his game. He has not posted spectacular statistics in his NHL career that solidifies him as a franchise goalie. The lack of playoff experience is something that could hurt the Flames as well. The counterargument to all of this is that Smith did not have much support on the Coyotes. He played on a team that was consistently at the bottom of the standings. This definitely hindered some of the success he could have reached. Smith even passively stated his frustration. This could make him motivated to prove critics wrong. There is no doubt that Smith will have a lot more help playing for the Flames. If all goes well, his win totals will increase and it could spark a new level of confidence. Smith was in need of a new start and he now has it. With players like Johnny Gaudreau and Sean Monahan carrying the offense, he does not have much to worry about at all. At the end of the day, the Flames are in a position where they have gotten a similar goalie to Elliott. However, that does not mean that Smith will automatically struggle as much as him. At the same time though, this is still a possibility. Acquiring Smith is a short term fix that brings a different goalie to the team. This is a move that is mainly about creating a new slate for the team. The Flames are just hoping for the best from Smith. He will not be the face of their future and will be replaced. However, if all goes well, this trade is a home run. If Smith can replicate his immense success in the 2011-12 Stanley Cup Playoffs, then the Flames will be in great shape. Yet, this is something that cannot be fully expected. The biggest goal for Smith is to show the Flames that he is a far better option than Elliott. 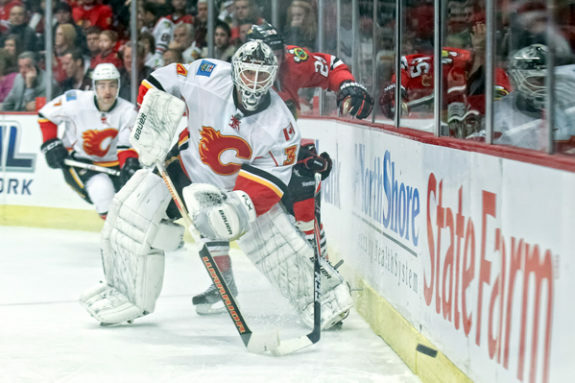 The Flames finally are competing, but they will only go as far as their goaltender. This is a huge opportunity for Smith to make a name for himself. Let’s just hope it is positive and not negative.